Looking for a more stylish and dependable alternative to the average taxi in Sydney? Then Black Cars is for you! We work with Black Cars to supply luxury car hires in Sydney as a stylish alternative to our great shuttle van services. Who is Black Cars? They are a licensed and accredited car service operating in Sydney, Brisbane and Melbourne, and Black Cars drivers are security-cleared to ensure you are in safe hands. Furthermore, their state-of-the-art GPS systems allow for hassle-free travel, no matter the destination. Black Cars has a wide variety of luxury cars in Sydney including black sedans and minivans. A classic black sedan is a great option for executive travellers to Sydney. Black Cars accepts all forms of payment, including credit cards, Cabcharge, and cash – making booking a ride just as easy as hailing a taxi. Book a black car hire to Sydney CBD, Darling Harbor, Rushcutters Bay, Surry Hills and Central Coast today! Like our signature shuttle vans, Black Cars can supply transportation from Sydney Airport to all parts of Sydney and beyond. 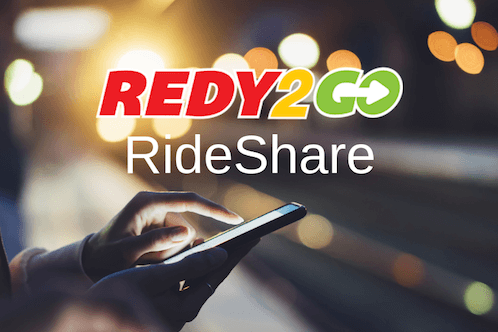 Besides chauffeured black cars, you can also reserve a Redy2GO RideShare service.